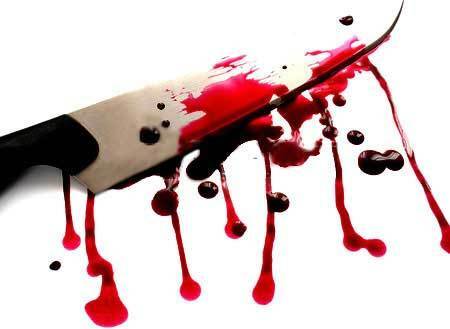 Shhh… Mommy is Watching her “Bloody” Show! No, I’m not British. I literally mean blood – the red stuff coursing through our veins. I have often wondered why my favorite TV shows are CSI, CSI NY (I don’t like the Miami version), Criminal Minds, NCIS, Bones, The Closer, Forensic Files, etc. (I do like other shows – The Universe, Mythbusters, Glee, American Idol, but I would give those up for the bloody genre in a heartbeat!). I know that Mike really wonders as well – I think he is actually worried that I could kill him and dispose of his body without leaving any trace evidence (trace evidence in criminal cases include fingerprints, hairs, cosmetics, plant fibers, mineral fibers, synthetic fibers, glass, paint chips, soils, botanical materials, gunshot residue, explosives residue, and volatile hydrocarbons.) I hate to admit it, but I think I could very easily “take care of him”, so he better be on his best husband behavior! Mike does win the patience award. Our house does not follow the social norm of “the men control the remotes”. In our family, we usually adhere to most social conventions, but not this one! The girls rule in our house and mostly THIS girl (can I still refer to myself as a girl?). Unfortunately for him, he has to watch the bloody shows night after night (can I help it if they are on all of the time?!) or go to a different room in search of another TV. For a long time now, Jack’s first question as he enters the living room has been (and still is), “Mommy, are you watching one of your bloody shows?”. Is there a blood-lust gene? If so, I think my daughters have it as they are both addicted to Bones. Maddie has the Season 3 DVD box set to watch at her leisure. Argh! What have I done to my children?! Why the extreme attraction to this genre (written, movies and television)? When I was a kid, the books that I LOVED to read were Agatha Christie, Nancy Drew, Trixie Belden, anything mystery-ish. My drop-dead favorite cartoon growing up was Scooby-Doo. Mystery, Inc. rocked! I wanted to be part of the “gang” (who didn’t, right?). 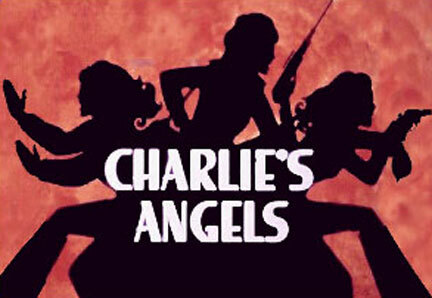 But, who could forget Charlie’s Angels?! I was 11 yrs old when the show debuted and I stayed up past my bedtime to watch it! Who knew you could be hot and be a crime-solver?! I thought you had to be like Agatha Christie or Sherlock Holmes. I’m pretty sure I missed my calling – I should have majored in forensics. Wait, I’m not saying I’m hot, but I am saying that solving crimes sounds a hell of a lot sexier than selling insurance. Doesn’t it? Question: Excuse me, Miss Engledow, but what exactly do you do for a living? Is it too late to go back to school to become a Forensic Pathologist or a DNA Specialist? Hmmm. This entry was posted in Personal Musings and tagged charlie's angels, CSI, DNA, forensics, scooby doo, tv remote. Bookmark the permalink. Heh! That’s a nice well-written post and it’s perceptive, too. I’ve often wondered the same darn thing. As a society we seem to be very interested in policeman, doctors and lawyers. Recently we’ve begun to expand just a skosh by including other professions like chef, cake maker, fashion designers and house flippers. All the rest of must have boring and pointless jobs, eh?